Disgusting Move of Miss Earth Mexico! Disgusting Move of Miss Earth Mexico! That's a Cocorocha move! 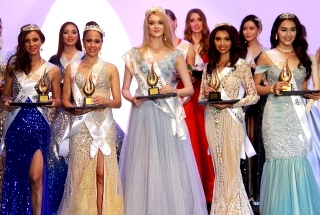 Misses Supra and Intercon Mexico will be crowned on May 19, 2019 and the LEFT OVER candidates will compete for Miss Earth Mexico on May 26. 2 Candidates (probably the best 2 candidates in the competition) who dreamed to become Miss Earth Mexico will be DEPRIVED of the chance to vie the Miss Earth Mexico crown. This is unjust, foul, shameful, and dishonorable not just for Miss Earth but for the 2 candidates who aspired to become Miss Earth. 1. Paul Marsell has to fix this Cocorocha act! The GRAND FINALE of Miss Earth must come FIRST before Miss Supra and Intercom. 2. 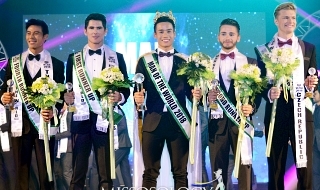 In view of the fact that Miss Earth Mexico is becoming a secondary pageant for Paul Marsell, just award the franchise to a bigger organization. The organization of Hugo Castellanos (Miss Mexico Organization- for Miss World) will wholeheartedly embrace Miss Earth or just give it to Lupita's Mexicana Universal. Last edited by Nand on Mon Apr 01, 2019 1:38 pm, edited 1 time in total. Re: Disgusting Move of Miss Earth Mexico! 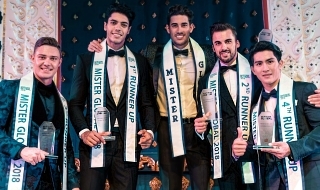 This reminded me when NBL used to hold a separate pageant for Miss World Mexico prior to NBL for Universe and the fans weren't that apprehensive at all. But knowing Miss Supra's snaky acts, this causes trust issues to the fans of Miss Earth. If they choose CDMX and Nayarit for Supra and Intercon, Miss Earth better remove the franchise from them. I THINK IT'S JUST RIGHT. Is this confirmed at all or just an april fools news. If true, what the hell Paul Marsell is thinking? It is absolutely insulting to the Miss Earth organization to uproot two ladies from the "Miss Earth Mexico" and represent other pageants even before the culmination of the main pageant. I hope this is just a fake news. I hope Carousel will look closely into this year's pageant and should be brave enough to remove the franchise if need be. It is okay for Mexico to do that kind of move if the ladies were not Miss Earth representatives from their own states. How can a Miss Earth Yucatan for example be sent to Supra when she has not represented her state yet to Miss Earth Mexico? Better, change the title to Miss Mexico and I have no problem with them naming the Earth at the last screening or the first screening doesn't matter. But not when you call the pageant--Miss Earth Mexico. I REMEMBER IN THE PAST (I THINK IT WAS IN 2016) THEY ELECTED A DELEGATE FOR MISS INTERCONTINENTAL BEFORE THE FINAL PAGEANT. AND IT WAS THE FAVORITE TO WIN MISS EARTH MEXICO. BUT SHE DID NOT WIN MISS INTERCON. LET'S CHILL, CALM DOWN AND SEE WHAT HAPPENS. LET'S HOPE THAT THE BEST - CIDAD DE MEXICO AND NAYARIT WILL STILL WIN MISS EARTH MEXICO. Geeyourhair wrote: It is okay for Mexico to do that kind of move if the ladies were not Miss Earth representatives from their own states. How can a Miss Earth Yucatan for example be sent to Supra when she has not represented her state yet to Miss Earth Mexico? I think it is in Miss Earth Colombia. I won’t necessarily label it a disgusting move. But I say it’s an alarming turn of events. Lipinsky and his best buddy Fontes (GB) aren’t to be trusted. These guys play dirty. Miss Earth Mexico is so close to winning the main crown. This isn’t the time to engage in distractions. Guys as I understand, after the preliminary the top 18 will chosen for Miss Earth Mexico. and for Supra an intercon will chosen from remaining candidates. But the problem for me is why not the Miss Air and Water to represent Supra and intercon? It's really unfair to those elemental queens.